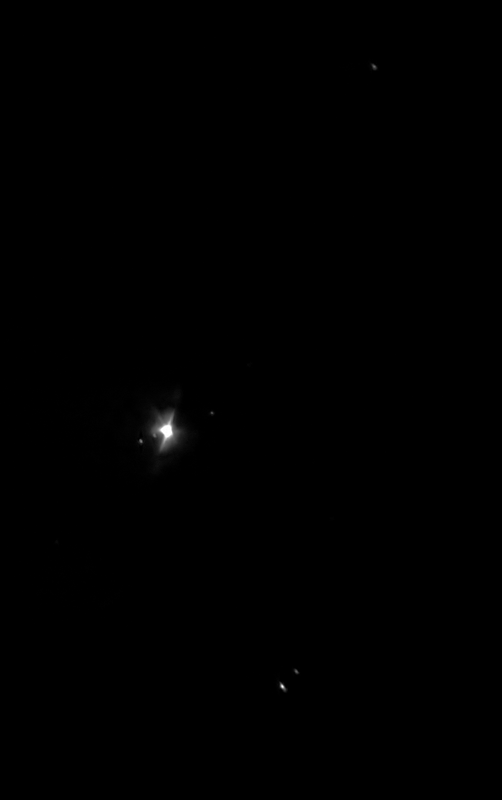 The final processed image shown at the end of the video is the one from My First Telescope. I used a trial version of Adobe Premiere Rush to compose the video. The user experience was much better than the open source editor I used for the previous Moon video, but the software was sluggish even on a Surface Pro with an i7. Also, all the premade titles and callouts look rather hideous. About a year ago I started to think about getting a telescope, and I have finally acquired one. After considering alternatives and consulting with the dealer, I ended up with a SkyWatcher Explorer 150PDS. It is a 150 mm aperture and 750 mm focal length Newtonian reflector instead of an achromatic refractor that I had in mind initially. Along with the optical tube, I also ordered an 8-24 mm zoom ocular, a 2x Barlow lens, a moon filter and a collimation laser. Along with the included 28 mm LET ocular these give me magnifications between 26,8x and 187,5x. I ordered the telescope from Teleskop Spezialisten because they proof and collimate the telescopes they sell. Indeed, it arrived perfectly collimated, I have not yet tried the collimation process myself. I had placed the order for the smaller 130 mm version, but due to delivery issues, I got the bigger tube at the same price. While it feels a bit bulky, it is still fast to set up, and I can store easily it in the apartment. The only downside is that the weight is on the upper limit of the N-EQ3-2 mount. Unfortunately, the bigger EQ5 was beyond my budget. Of course, the skies have been mostly overcast since I got the telescope, but there have been a couple of clear evenings on which I have been able to make the first observations. 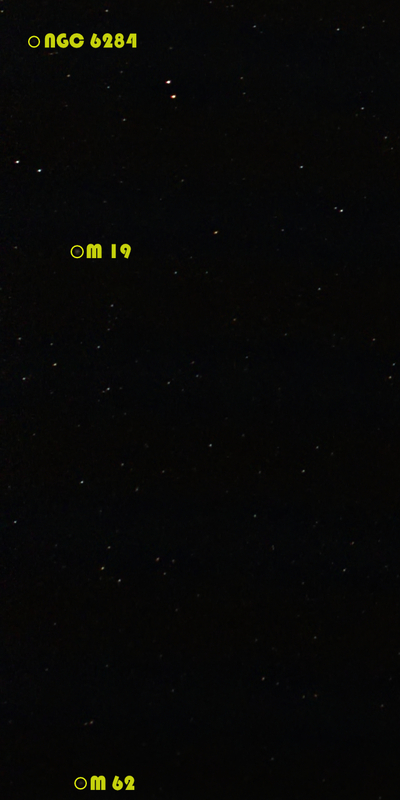 I was able to observe Mars and Venus only during poor visibility. 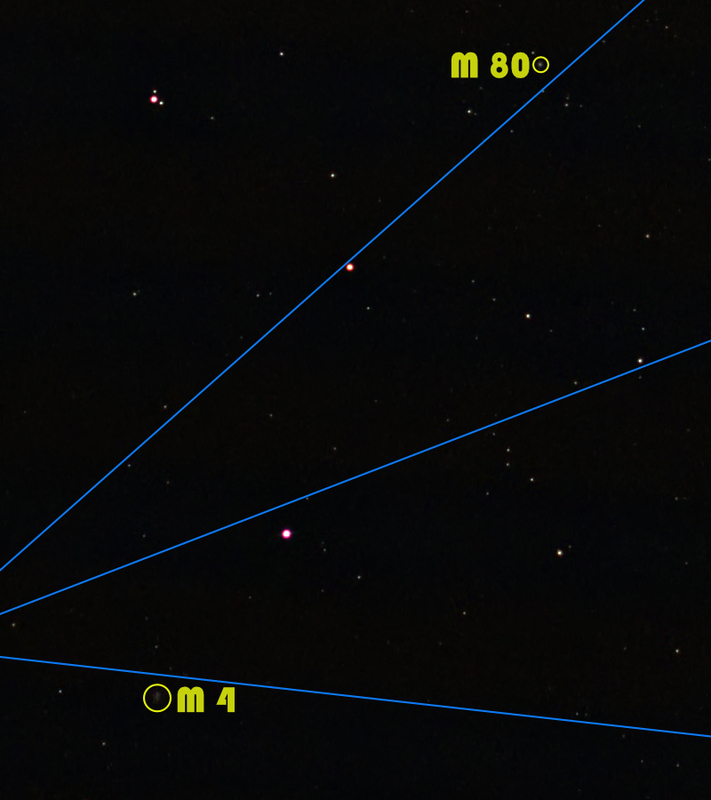 Mars was just a small blip, but Venus’ phase was clearly visible. In both cases, the vibrations were fairly annoying even with low magnification. 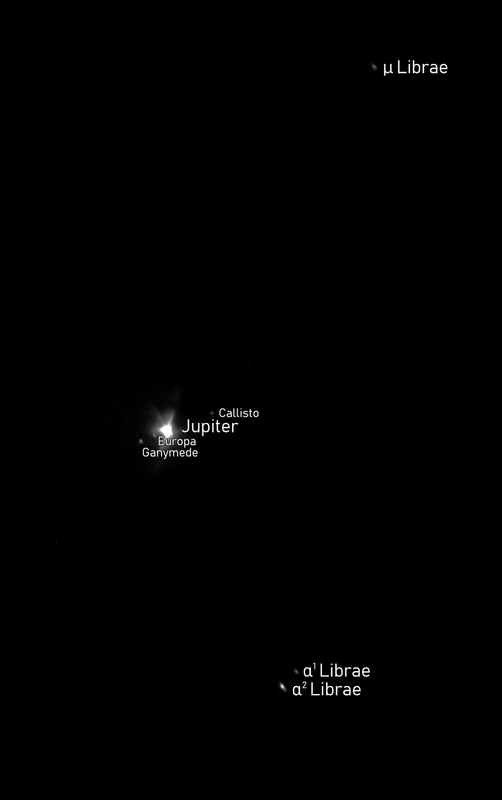 It will be a while before Mars is again in opposition, but I hope to have better luck with Jupiter and Saturn when they are back in the field of view. Of the deep sky objects, I have only had luck with the Orion Nebula. 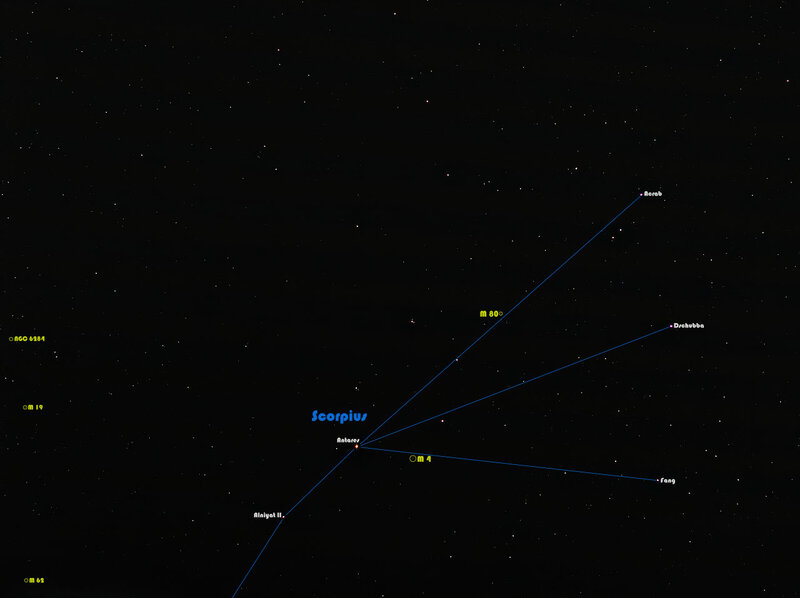 On the first two observations, only the brightest part of the nebula was visible due to the Moon being in the sky. On the third time, the Moon was yet to rise and could see the curved regions extending from the centre. 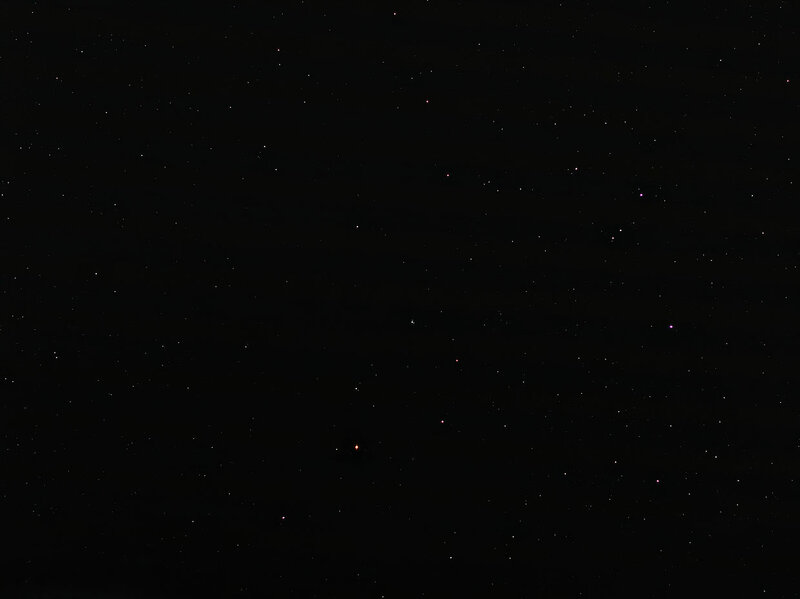 Everything was still pretty faint compared to the background sky, and I am probably going get a light pollution filter. The vibrations were not a problem up to 93,8x magnification. Which I also found to be to most comfortable magnification since the visible nebula filled most of the field of view. Unfortunately, I was not able to try out deep sky photography since I am yet to acquire tracking motors. From the observations so far the Moon has been to most satisfying. 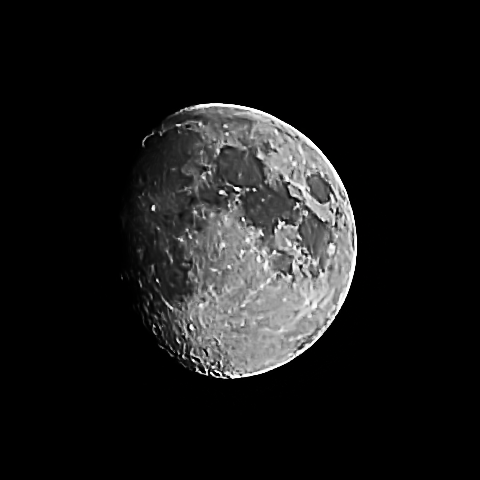 Even if not strictly necessary the moon filter made viewing a bit more comfortable. It found it easier to see details when the moon surface was not massively bright and removed the chromatic aberration of the Barlow lens. The filter is adjustable, and it was easy to find a good level of filtering. With the Moon, I did not find the vibrations too annoying even with the maximum 187,5x magnification. I also took a couple of quick videos with my smartphone and the resulting processed images can be seen below. Both images were centred and cropped with PIPP, stacked with AutoStakkert! and edited with Polarr. Overall I am satisfied with the telescope. The biggest issue so far is that using the finderscope is not very ergonomic. Also, the field of view from my balcony places some limits on the possible targets. For example, while Orion was well positioned; the Plajades were too high. Hopefully, enough interesting targets pass the through the view during the year. Stacked with Sequator and processed in Affinity Photo. A big issue with this photograph was the net, which is installed on our balcony to keep the birds from soiling it. With binoculars, it poses no problem, but with a 45 mm lens with a considerably larger view, the net was clearly visible although out of focus. Stacking averaged out the horizontal bands, but the vertical bands remained. I managed to salvage the image by performing frequency separation so that most of the detail went to the high-frequency layer. Then I reduced the luminance of the low-frequency layer until the bands were no longer visible. I intended to photograph the constellation, and I did not expect to see any deep sky objects, but closer inspection showed that several globular clusters are actually visible in the image. They appear just as few pixels wide blotches but are a nice addition to the photo. 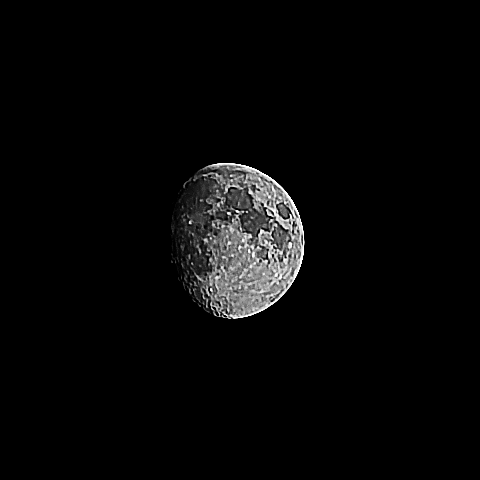 Since I was not able to get a better quality shot of the moon with my current camera and objective, I tried using binoculars and a smartphone instead. 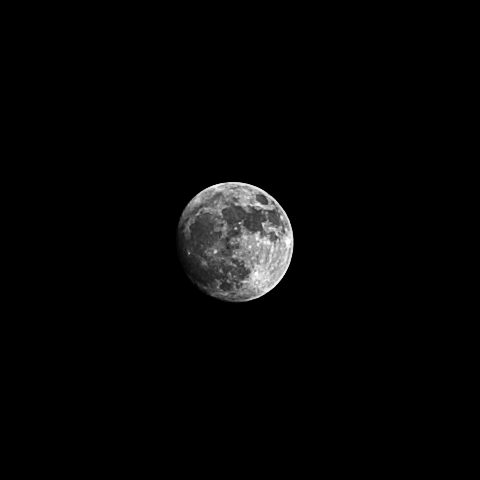 Finding the right settings and focusing were much easier since the moon appeared larger on the screen, but working with the phone was quite uncomfortable since I had to use the tripod and the display was pointing downwards. The first image is stacked from a one-minute video with 1888 frames. I used PIPP to crop and the frames and Affinity Photo to stack and post process. The video’s resolution is much less than E-PL7 sensor’s, and the moon does not appear much larger, but more details are visible. The second image is a stack from four JPEGs (1/1000 sec. f/1.7 4.2 mm ISO 50 B) and was processed like the video. Unfortunately, I did not have enough time capture more frames, and I had to add extra noise reduction in Affinity Photo. The moon is more prominent since the resolution is better, but the image quality is not better due to the small number of frames. I will try a different photo application, with better options for taking a series of photos, in the future. The third image is a one taken with PEN E-PL7 and 45 mm objective for comparison. The photos taken with smartphone and binoculars show a clear, and I hope that I can get even better quality by switching to RAW and having a decent amount of frames to stack.